DETROIT — A Detroit-area man is behind bars after he allegedly stabbed two people waiting at the bus stop because they answered no when he asked if they were Muslim. 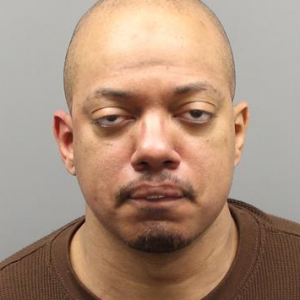 According to police, Terrance Thomas, 39, joined others who were waiting at a bus stop near Detroit on Saturday as they were making small talk among themselves. He then “asked some of the folks there if they were Muslims,” according to Southfield Police Chief Eric Hawkins. Two replied to his question, stating that they were not. Hawkins states that there was then “some back-and-forth between the victims and the suspect,” who pulled out a knife moments later. One man, whose name has not yet been released, was stabbed five times: once in the face, once in the neck and three times in the back. Another who witnessed the attack attempted to stop Thomas was stabbed in the hand. Thomas then fled the scene of the attack, but was apprehended by police minutes later. He was found to be carrying two knives with three-inch blades, as well as some marijuana. The suspect has been charged with two counts of assault with intent to murder, one count of carrying a dangerous weapon, and one count of possession of a controlled substance. The FBI is also looking into the matter to determine whether or not to press hate crime charges. “[W]e do know that he was not happy that [the victims] indicated that they were not Muslims,” Hawkins told the Washington Post. Thomas’ bail has been set at 1 million dollars, and is set to appear in court on March 4. The victims in the incident have been released from local Providence Hospital and suffered non-life threatening injuries. As previously reported, an Oklahoma man who had recently converted to Islam was shot and killed last fall after he beheaded his former co-worker and stabbed another. A spokesman for the Moore, Oklahoma Police Department told reporters that Alton Nolen, 30, “recently started trying to convert some of his co-workers to the Muslim religion” when he was fired from his job at Vaughan Foods. He later drove to his former place of employment and entered the front office, where he encountered Colleen Huffort, 54, and began attacking her with a knife. “He did kill Colleen and did sever her head,” police spokesperson Jeremy Lewis stated. Nolen then began attacking co-worker Traci Johnson, 43, who caught the attention of others in the building with her screaming. One of those who heard Johnson’s cries for help was Chief Operating Officer Mark Vaughn, who also serves as an Oklahoma County reserve deputy. Being armed at the time, he shot Nolen dead, saving Johnson’s life.